To assist you in doing business with Capricorn Space, we have compiled the following FAQ and outlined information that will assist in understanding the what, why and how of the Australian Ground Network. We are building a satellite ground network in the east and west of Australia that has been purposely designed to support the SmallSat and burgeoning NewSpace markets. Our sites are ideally located for servicing a range of satellite services and orbits and the infrastructure has been purposely developed with consideration to achieving high availability and future growth. What is Capricorn Space’s business objective? Our objective is to provide Ground Segment as a Service to SmallSat and emerging NewSpace systems enabling operators to transfer vital data as their satellites pass over our southern hemisphere sites. Capricorn Space offers Retail and Landlord service models where users can either purchase airtime on our S/X-Band system or install their own equipment at our sites and operate remotely. 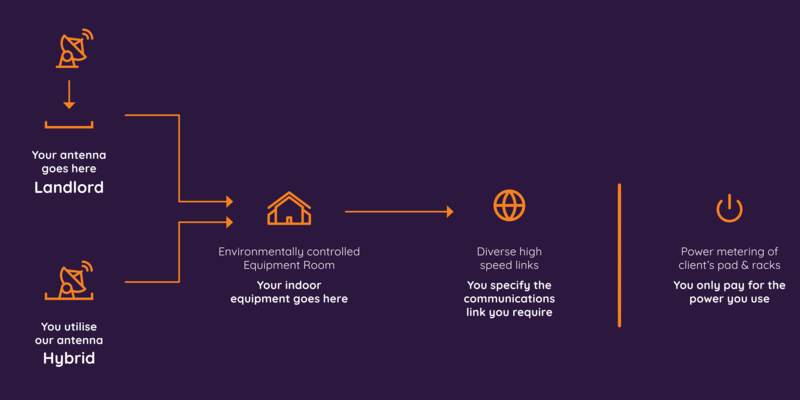 We also offer a Hybrid model enabling users to interconnect their indoor equipment with our antennas. Capricorn Space is on track to commence operations at its Australian Ground Network – West (AGN-W) site near Geraldton in Western Australia in the middle of 2019. Construction of Phase 1 commenced in Q4 2018 and comprises 6 antenna pads (2 allocated to Capricorn Space’s Retail service and 4 to Landlord services) as well as a purpose built environmentally controlled Equipment Building. 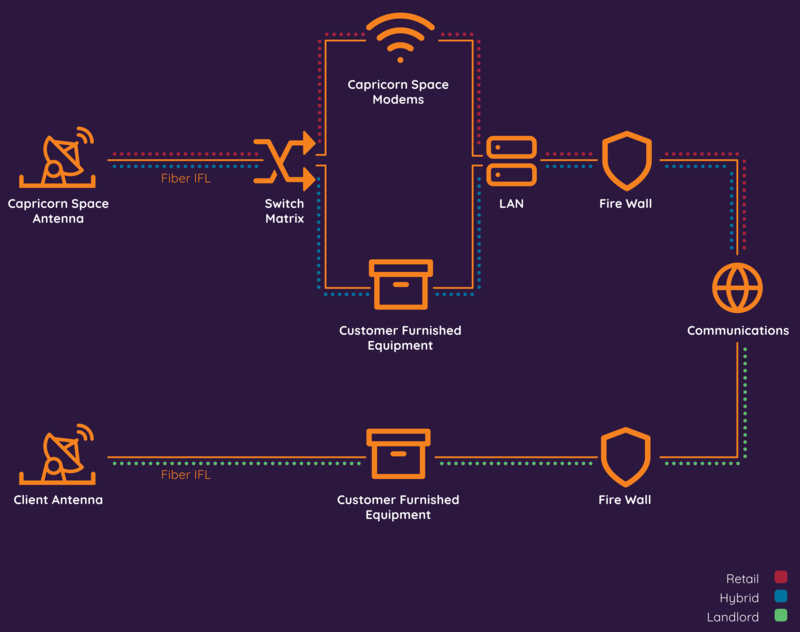 Core infrastructure includes reliable power, high speed communications, network integrity and site security as well as maintenance and specialist (Level 2) support. The AGN-W can be rapidly expanded to support additional antennas and indoor equipment. Why should I use Capricorn Space’s capability? Being Australian based, our ground stations are located in the southern hemisphere where very few ground stations exist. This has the advantage of extending coverage opportunities and reducing latency for time-sensitive data - enabling crucial information to be delivered asap! Our site in Western Australia offers many benefits including a satellite-friendly radio quiet zone, full sky visibility, clear sky conditions and access to essential power and communications. A radio survey was conducted in December 2018 and confirmed the RF suitability of the site. What Service Models does Capricorn Space provide? We provide Retail, Landlord (BYO Antenna and Indoor Equipment) and Hybrid (BYO Indoor Equipment only) service models which can be tailored to meet individual client needs. Capricorn Space communicates with your satellite using its own antennas and delivers your data as required. We sell airtime on our S and X-Band network. Simply access our portal, nominate your satellites of interest and select the passes you require. Capricorn Space provides you with a pad for your antenna and rack space within our Equipment Building for your baseband and network equipment. We provide power, communications, security and on-going maintenance. We can also provide specialist technical and Out of Hours support, if needed. Ideal for operators wanting to establish their own remote capability at our site. Simply install your own bespoke Customer Furnished Equipment (CFE) in our Equipment Building and access your satellites using our antennas. Suited to operators who wish to utilise their own modems and network equipment. What additional services does Capricorn Space offer? We understand that many clients require additional services and therefore offer Regulatory, Maintenance, Support and Enhanced Security options. As part of our service offering, Capricorn Space will use its proven Regulatory skills to secure the all-important radiocommunications license required by the Australian Communications and Media Authority. Already Capricorn Space has secured licenses in the UHF, S and X-Bands for both our eastern and western sites. Capricorn Space will ensure that your equipment is maintained according to your planned maintenance schedule. At the corporate level, we will ensure that all supporting infrastructure is serviced and operating according to its operational requirement. Capricorn Space will provide out of hours support to third party equipment (CFE racks and antennas) to assist you resume operations as early as possible. In the event additional physical and network security is required, Capricorn Space will work with you to achieve the right outcome.